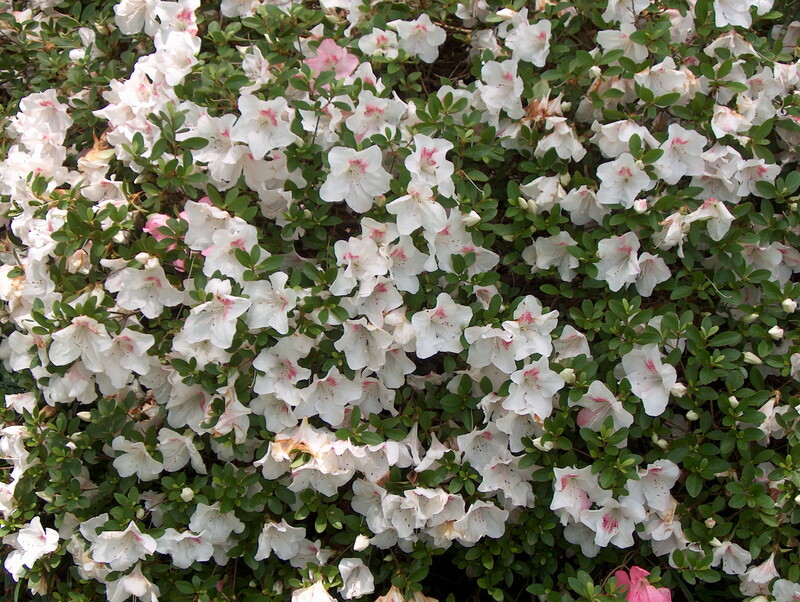 Comments: This azalea produces large three inch nearly white or very light pink flowers with rosy-pink centers. There can be occasionally all pink flowers on the same plant. This Satsuki azalea is a relatively late spring bloomer.